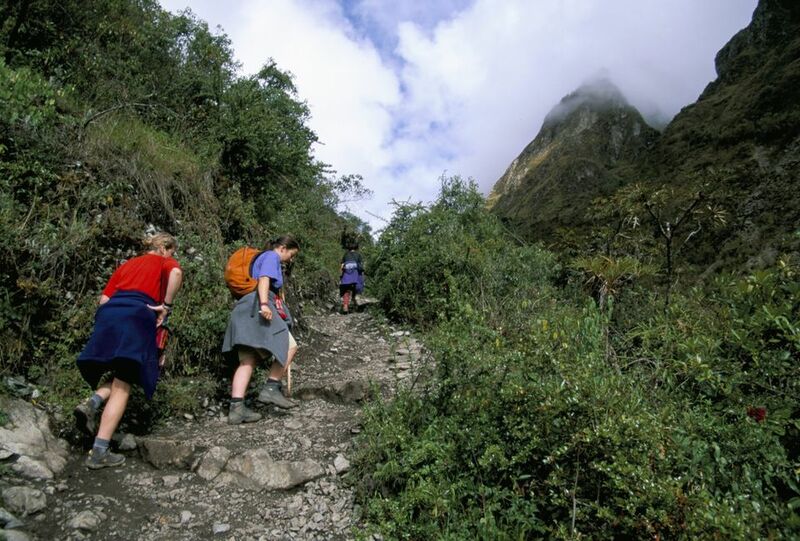 Tips are not included in the overall price of Inca Trail treks, but most trekkers do tip their guides, porters, and cooks on the penultimate or final day of the hike. Tipping is not obligatory, so you should never feel forced into it, but it is a tradition on the trail (for general tipping advice, read A Guide to Tipping in Peru). To give you an idea of how much cash you should carry for tips -- and how much you should give to various trail support staff -- we’ll have a look at the advice given by some of our recommended Inca Trail tour operators. These recommendations are for the classic 4 day/3 night Inca Trail; prices are listed in Peruvian nuevos soles -- in general, it’s best to tip trekking staff using low-denomination nuevo sol bills. SAS Travel: recommends that each person in the group contributes between 50 and 60 nuevos soles (US$19 to $23) to a “pot,” which is then distributed among the cook, assistant cook, general assistant, and porters. Also, a further 15 to 20 soles ($5.80 to $7.70) from each person in the group for the assistant guide and 18 to 28 soles ($7 to $10.80) for the principal guide. Sungate Tours: recommends between 60 and 80 soles per porter from the whole group; 80 to 100 soles for each cook from the group; 160 to 200 soles from the group for the guide. Chaska Tours: recommends that each porter should walk away with 50 soles each for a small group (1 to 5 trekkers) and 30 soles each for a larger group (6 to 16 trekkers). Also a maximum of 80 soles for the guide, 70 soles for each cook and 50 soles for each assistant cook (given collectively from the tour group). Llama Path: suggests 60 soles for each porter and 120 soles for the cook (from the whole group, not from each trekker). G Adventures: “A good rule of thumb is anywhere from $6 to $8 per day for the porters” (15 to 20 nuevos soles). Andean Travel Web (an independent website, not a tour agency): Recommends taking an extra US$25 to $30 (65 to 78 nuevos soles) per person to cover tips, with additional personal porters tipped separately. Always remember that tips are not mandatory. The tipping ranges above are suggestions only and assume that the service given was of a good standard. If your food was terrible, for example, you should not feel obliged to tip the cook. At the same time, resist the urge to over-tip. If you feel you might want to go beyond a standard tip, keep in mind that many porters would be grateful for additional donations such as clothing or school equipment for their children.